​Special thanks to our donors who support our work! Join Our Caravan of Joy ! Founded in 1995, Silk Road Dance Company has historically depended on income from our performances to cover our operating expenses. Without private or public funding, we produce beautiful award-winning concerts throughout the United States and abroad. We need to move to the next level of sustainability, so our art can continue to flourish. Imagine what we can create with your contributions! Silk Road Dance Company is a tax-exempt 501(c)3 non-profit arts organization, so your donations are tax deductible. It is easy to donate! Just click on the button to contribute through our PayPal account. Silk Road Dance Company, Inc.
Mathew Brobowsky, Rafael Caraballo, Lauren Chung, Cindy Connelly-Ryan, Laura Carey, Joan Eisenstodt, Diana Gray, Janet Houser, Joan Jordano, Rebecca Knight, Annlinn Kruger, Jean Lanham, Sylvie Pinloche, Andrew Pollard, Mohsen Raeisinia, Ramin Seddiq, Adrienne Sedgewick, Mary Jo Shapiro, Ivan Shellenbarger, Deborah Stearns, Merri Anne Stowe, John G. Walter. 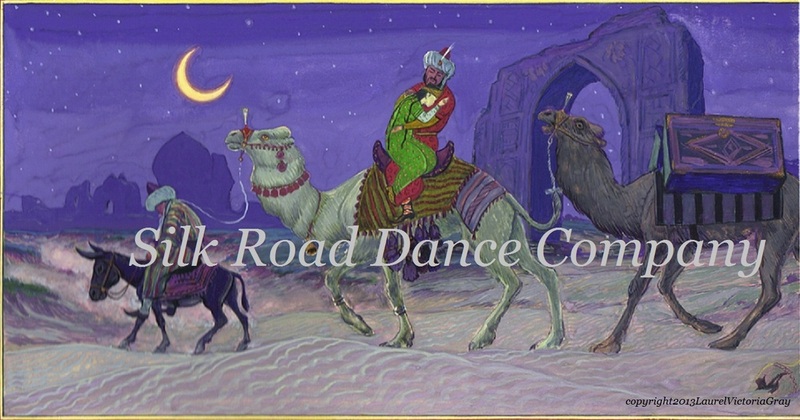 Silk Road Dance Company holds exciting fundraising events that are fabulous and fun. In 2011, we had pre-Halloween costume sale, a Central Asian "chaikhona" (tea house) and a Silk Road bazaar. 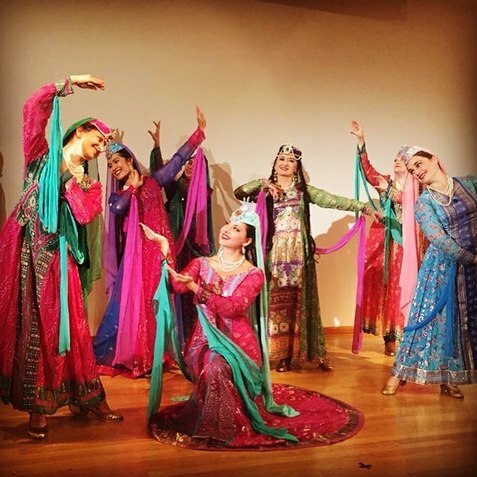 In 2012, our donors had the opportunity to attend a special Silk Road Dance Company concert at the Embassy of Uzbekistan. Guests also enjoyed a buffet of traditional Uzbek cuisine. When you "like" our Facebook page, you can keep up with our busy schedule and enjoy the latest photos and video clips. Our dedicated volunteers assist in many ways, from photography to graphic design to backstage help. You can also join our Silk Road "Caravan of Joy" by sharing your time and talent. We often need volunteers at our major concerts to assist with different aspects of production, like painting sets or greeting audience members. If you have a specialized skill you would like to share, please let us know. If you have a business, you can become a sponsor.